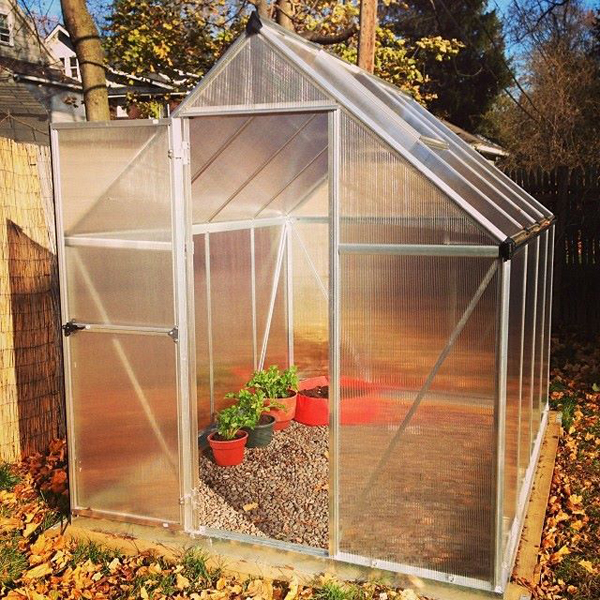 Remember the greenhouse Aaron got me for my birthday? We put it together a few weeks ago and I love it! We had an unseasonably warm day today and I started filling it with plants. 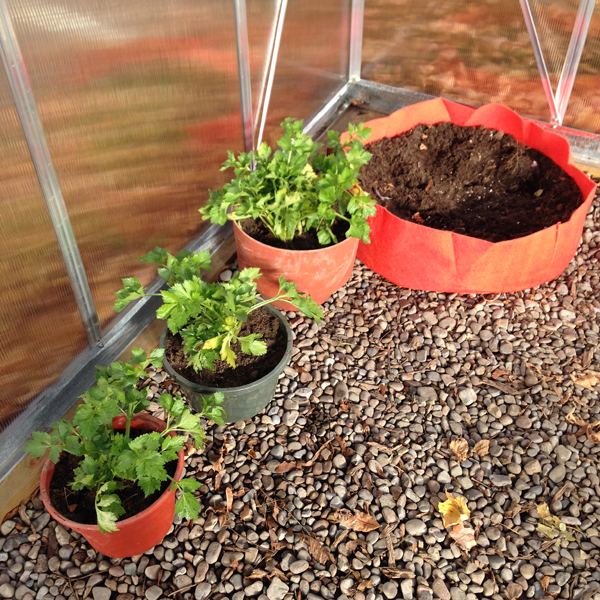 I moved my celery from the garden inside and also planted some garlic. 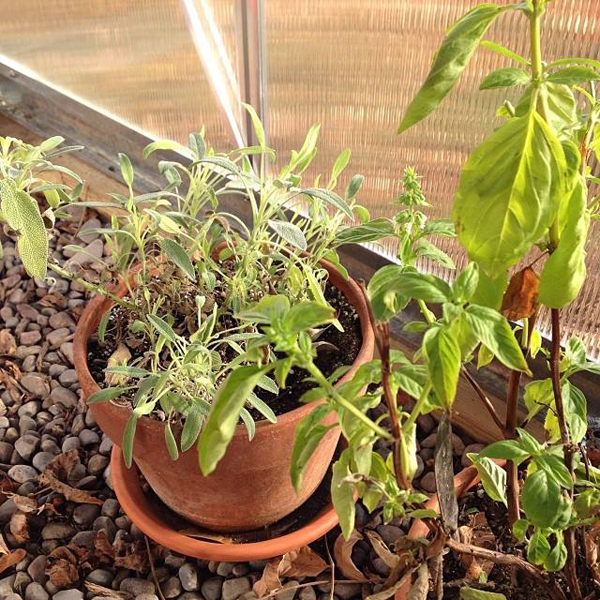 My potted herbs will stay in the greenhouse over winter too. I think I will try some other plants also, maybe lettuce? I really need to read up more on greenhouses. I'm dreaming about eating fresh homegrown veggies all winter which may be a tad unrealistic but we shall see. just getting caught up on your blog. I'd love to know how your greenhouse is working out. My celery did not make it through the polar vortex, but my garlic is coming up! I'm getting ready to start seeds in the greenhouse soon.